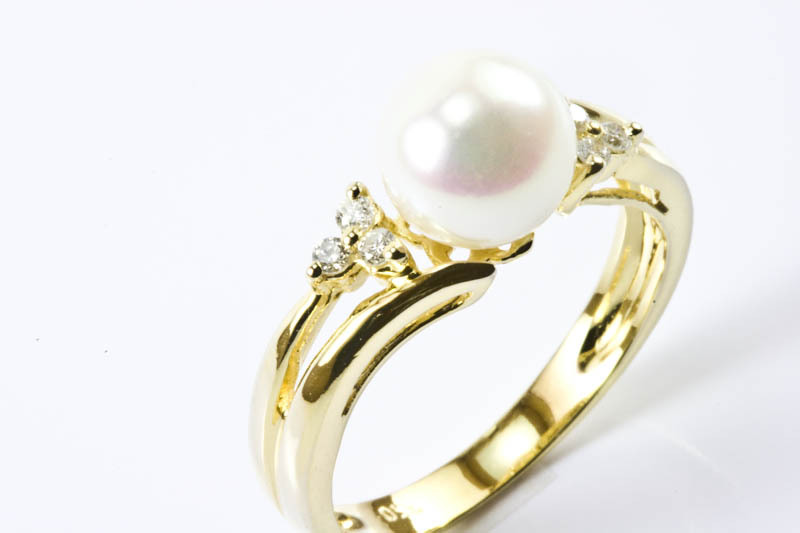 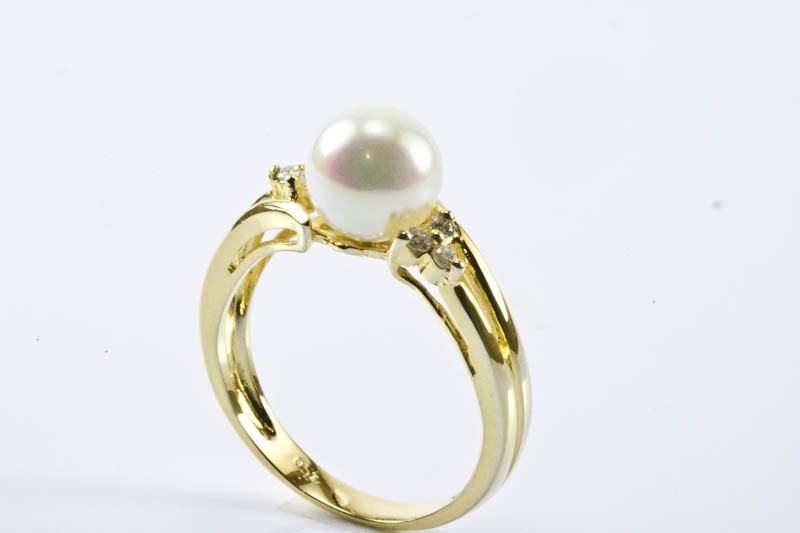 7.5mm AAA Grade Japanese Akoya Cultured Pearl Ring, 18 K.yellow gold, and 0.10ct.Diamond. 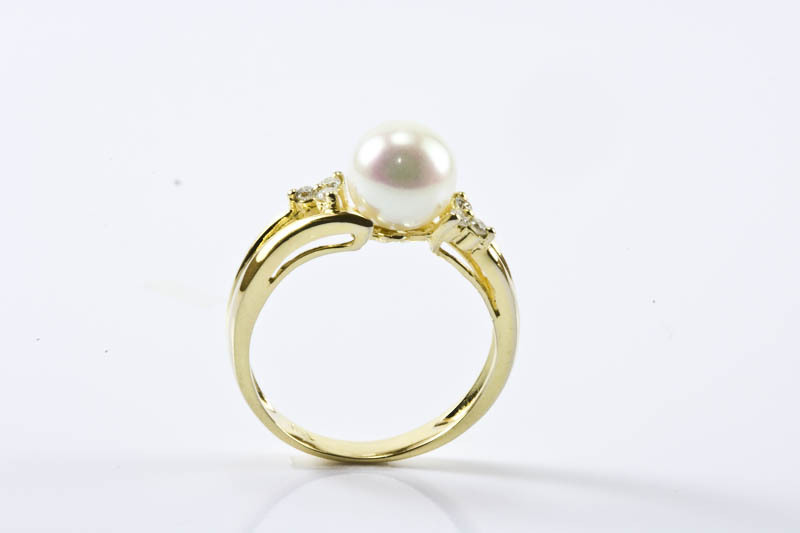 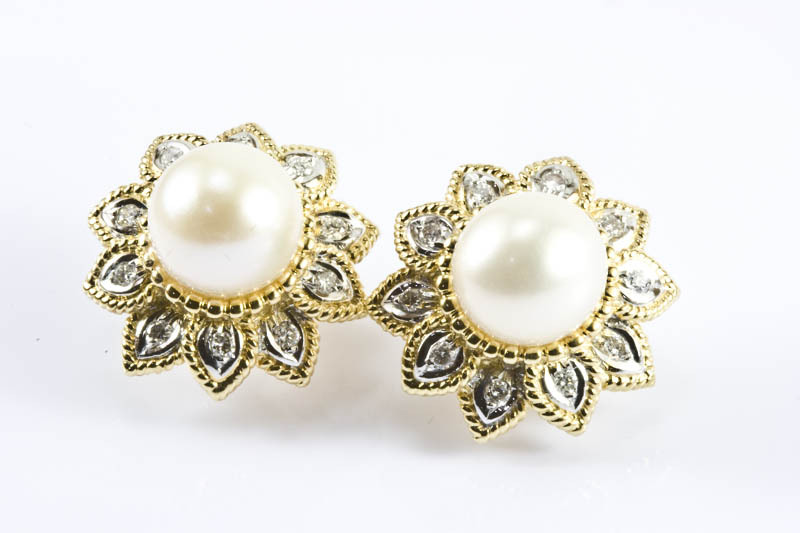 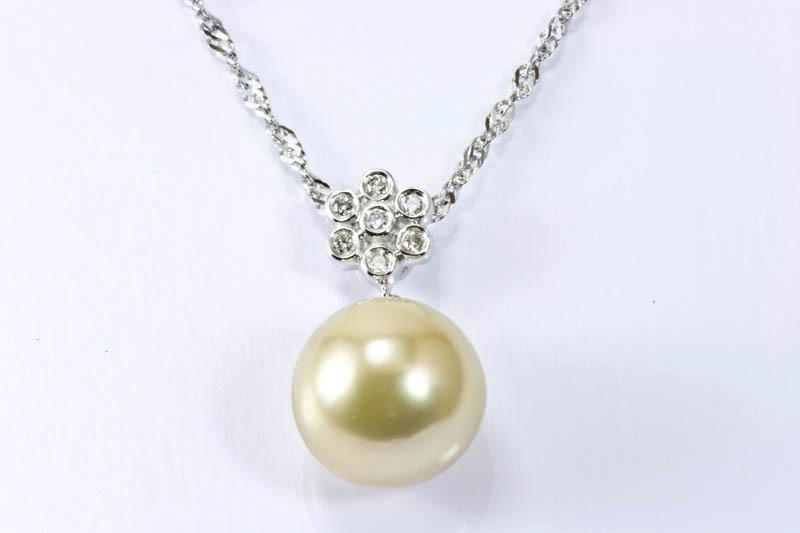 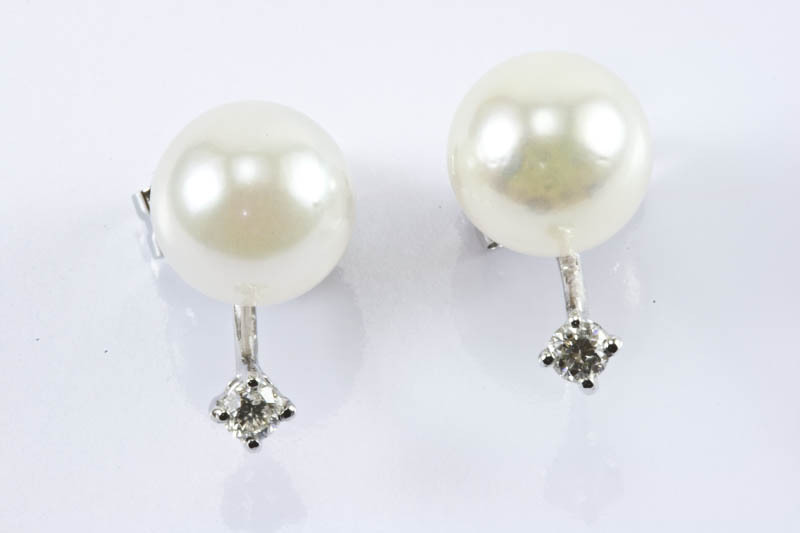 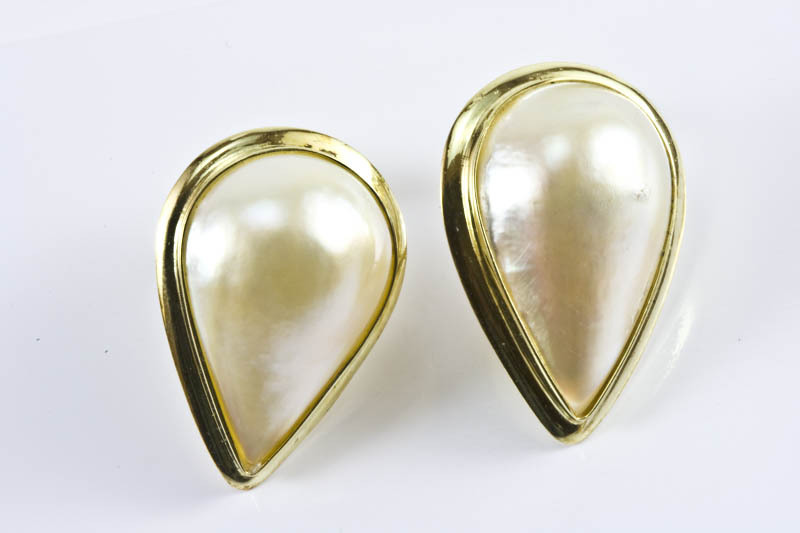 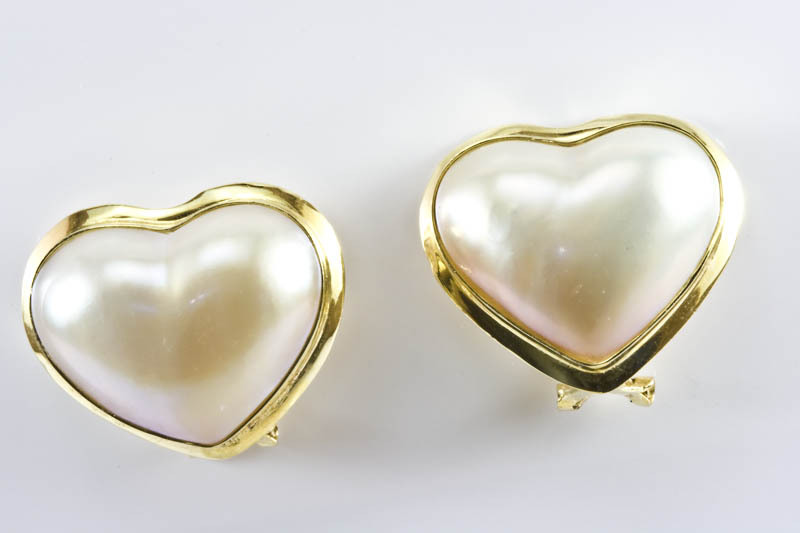 This single pearl AAA quality 7.5mm Japanese Akoya Cultured Pearl is elegantly set in a 18K yellow gold ring. 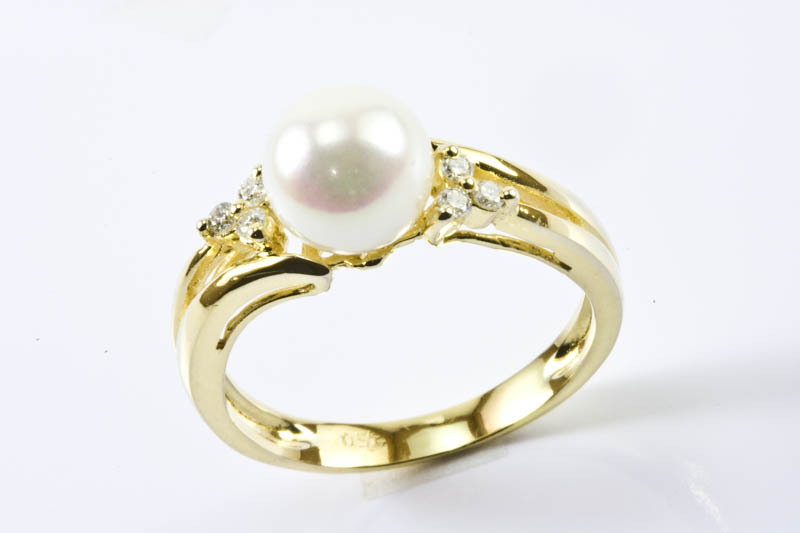 Diamonds set in both side add elegance look of this ring.Featuring 6 stones in total .10 carats (G color, VS clarity).